When it comes to correlation capabilities, LogRhythm has you covered. With AI Engine you can perform a variety of activities, from observing a single activity to applying advanced behavior rules across multiple dimensions (entities, devices, log sources, metadata, etc.). In addition to some of the more obvious capabilities, Chris Martin of LogRhythm is here to tell you about one not so know feature of AI Engine called Temporal Chain Normalization (TCN). He investigates the TCN a bit to understand just what it is (other than sounding extremely cool). The best way to explain TCN is an example. Take a simple correlation activity: If we see Event A followed by Event B, then we generate an alert. Note: The normalized timestamps (in green) are extracted from the Log Message itself. They do not rely on collection time. You’re not going to be surprised to hear this, but unfortunately, computers, users, and even the internet aren’t always 100 percent consistent or reliable. Network latency, system downtime, Hawking radiation, and other anomalies can impact the collection speed of audit and log data. Imagine you have a correlation rule looking for an attack (Event A) followed by a compromise (Event B). But when an attack actually occurs, the logs are received out of order because of a network outage. What happens then? Nothing happens. No alarms fire and that’s a problem. As you can see below the collection timestamp (in red) shows that Event B was received after Event A; therefore, no alert was generated. Organizations should not assume that all data generated within their environment is assigned an accurate timestamp relative to the variety of data sources and logging mechanisms across the IT environment. Disparate timestamps can result in data being evaluated out of order, which impairs real-time event recognition and response. There are many reasons log and machine data collected for analysis may be attributed to a different time than when the event actually occurred! 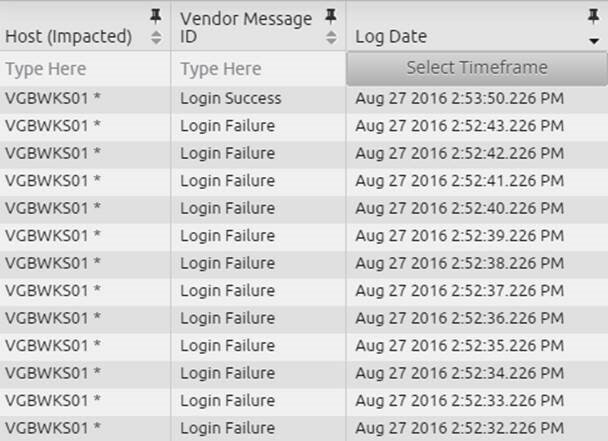 Unless you have a security information and event management (SIEM) platform with the ability to normalize and reorder out of sequence log messages, you are going to miss important alerts. The good news? The LogRhythm Security Intelligence Platform can do just that with TCN. Let’s start off with something simple. Here’s an AI Engine rule that looks for Event A followed by Event B. For simplicity, I’ve generated two unique Windows Events and expect to see Event ID 4321 followed by Event ID 4322. Note: As this is a demonstration rule, it only groups on the Known Host for Rule Block 1 (as I’ll be generating Event A and Event B from two different hosts). As expected, here’s the resultant alarm firing when Event A and Event B were generated and collected in the proper order. Next, I ran the same test again. But this time I stopped the LogRhythm Collector running on Host 3, then proceed to generate Event A (on Host 3) and then Event B (on Host 4), then waited a minute to start the Collector on Host 3 again. This caused the collected order of logs to effectively be Event B followed by Event A, rather than Event A followed by Event B. Note the time it fired is 11:19:20 (EST). Did it surprise you to find out that the alarm fired even though the events were collected out of order? This is all due to LogRhythm’s time normalization capabilities. After a minute or so, the following alarm is generated. 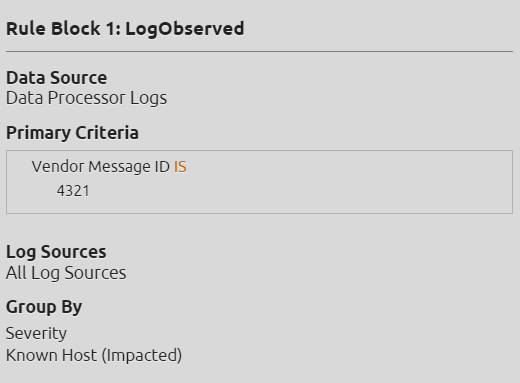 Yet again we’ve successfully detected the brute force attack, even though the log messages were collected out of sync. For organizations with a network that spans across multiple time zones, TCN is a basic and must have feature. With TCN, all logs are stored in Coordinated Universal Time (UTC) allowing for accurate event correlation and prioritization. If you want to learn more about the Temporal Chain Normalization, and what LogRhythm has to offer; great news, we are SIEM experts!